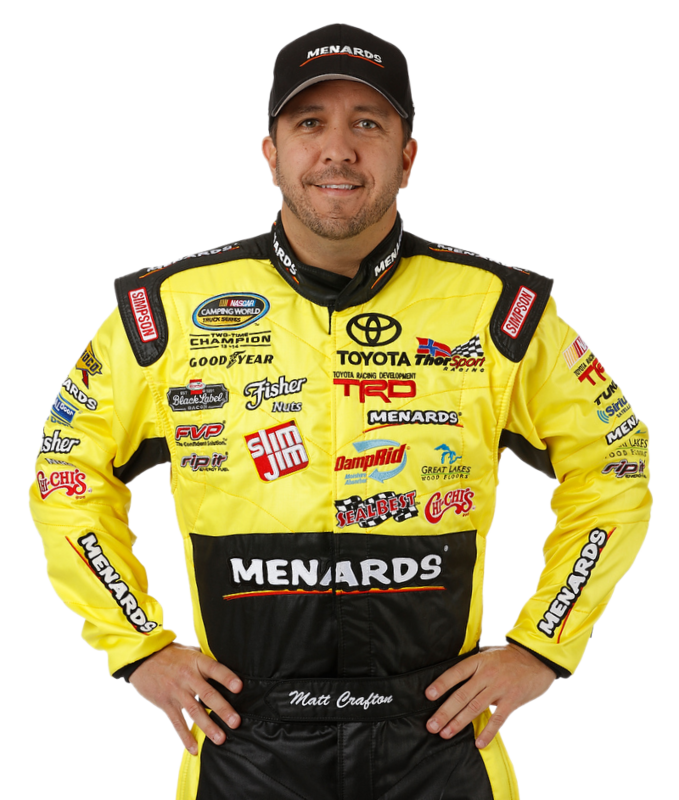 Matt Crafton, driver of the No. 88 Ideal Door/Menards Toyota Tundra, made his 10th start at Iowa Speedway in the NASCAR Camping World Truck Series (NCWTS) Speediatrics 200 on Saturday night. Starting 10th, the 2011 race winner, ran consistently inside the top-10, battling handling issues throughout the 200-lap event, and finished eighth. The top-10 result was Crafton’s 10th top-10 finish in 10 races at the .875-mile oval. Starting 10th, Crafton battled a Toyota Tundra that was tight through the first half of a run, and “pretty good” at the end of a run. Crew chief Carl “Junior” Joiner brought the No. 88 machine to pit road under the races first three cautions at laps 44, 104, and 148, respectively, for four tires, fuel, and adjustments to aid in the handling. Restarting eighth at lap 156, when multiple trucks opted to take two tires versus four, Crafton was able to work his way inside the top-five, running as high as fourth before the fourth caution, and eventual red flag halted the two-time champions progression. In the final 13 laps, which included a green-white-checker flag finish, Crafton’s Menards Toyota Tundra began “plowing,” forcing the ThorSport Racing driver to lose momentum, and settle for an eight-place finish behind race winner, William Byron. The NASCAR Camping World Truck Series had two practice sessions on Friday afternoon in preparation for Saturday night’s Speediatrics 200 at Iowa Speedway. Crafton was 12th, and 15th, respectively in both sessions. Making his 10th career start at Iowa Speedway, Crafton started ninth, ran consistently inside the top-10, and finished eighth. In 10 starts at Iowa Speedway Crafton has led 233 laps en route to two wins, seven top-five, and 13 top-10 finishes. In eight starts in 2016, Crafton has one pole (Atlanta), two wins, and has led 394 laps en route to four top-five, and seven top-10 finishes. Crafton continues to lead the NCWTS driver point standings with an 11-point lead over second place. In 369 career NCWTS starts, Crafton has led 2083 laps en route to 12 poles, 13 wins, 93 top-five and 217 top-10 finishes. Crafton’s ThorSport Racing teammates finished third (Hayley), fourth (Rhodes), and 18th (Abreu).